The international medical humanitarian organization Doctors Without Borders/Médecins Sans Frontières (MSF) confirmed that Renewed fighting along a front line in the war in Yemen has forced thousands of people to flee to the city of Abs and surrounding areas in recent weeks. Jaume Radó, MSF head of spanish mission in Yemen, said in statement on Wednesday: ""After several days of intense fighting, more than 18,000 newly displaced people have arrived in Abs and the surrounding areas. We also saw an increase of war-wounded in our hospital in Abs, which serves an area with more than 1.2 million people in Abs and the surrounding districts. In total, there are more than 50,000 displaced and the situation could get worse if there are new clashes." Fighting has been taking place in n Abs and the surrounding areas west of Hajjah province for weeks between the Yemen's internationally recognized "legitimate" government forces and the Houthis (Ansar Allah) forces. 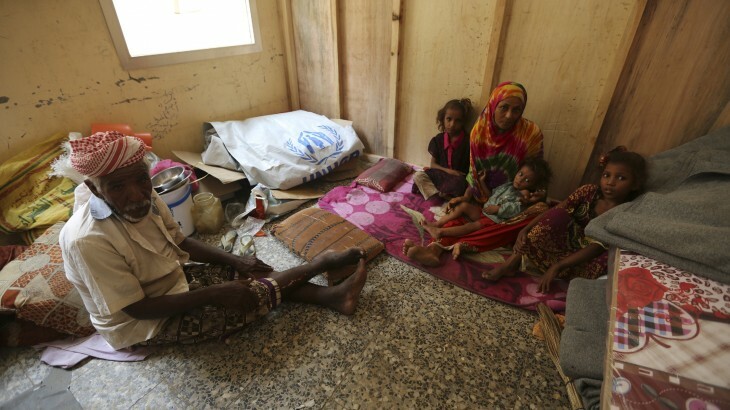 MSF head of mission in Yemen called for providing food, water, shelter and medical care to those in need as a result of fighting in Hajjah province. He said: "The main humanitarian needs of the displaced population are medical care, water, shelter, food, and relief items. Medical care, clean water, and sanitation services are urgently needed, given that the country is suffering an increase in cholera cases. MSF has one cholera treatment center in Abs and is setting up another one for displaced people and the local population." MSF asks all warring parties to ensure the security of the civilian population and of the medical mission, so that basic services can be provided to displaced people and war-wounded, pointing out that "There are groups of civilians that we cannot reach due to security reasons. ".